Bannock Outdoors today launched the first healthy backpacking food line wholly developed with the health conscious individual or family in mind, with meals and desserts that include natural ingredients, the highest amount of protein and fiber, and the overall largest portions of food per serving. As a result, anyone actively engaged in outdoor activities — hikers, campers, backpackers, etc. — can have tasty, healthy and filling meals that will provide more energy and stamina to support their active lifestyle. Later this year, the company will add innovative camping equipment (e.g., hammocks, stoves, backpacks, solar lamps, chairs) to improve the overall camping experience. 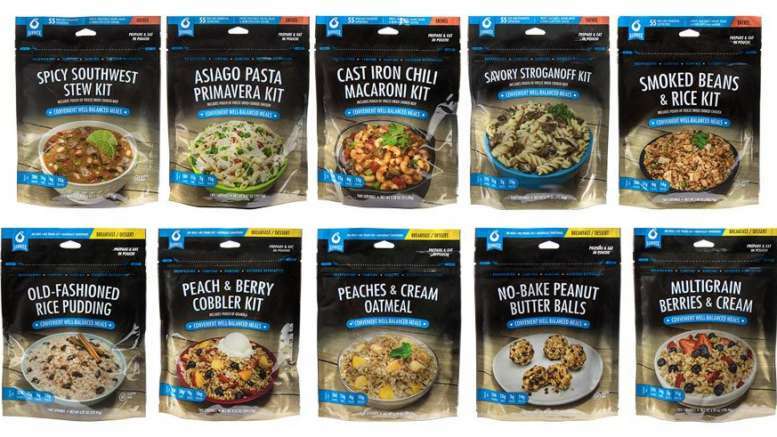 Bannock’s convenient, well-balanced backpacking meals — sold in freeze-dried pouches that only require boiling water — include 55 non-GMO natural “superfoods” along with a unique blend of fruits, vegetables, grains, beans and herbs with every serving. No enhancers are added. Bannock’s breakfasts and desserts are also sweetened with Kakato,™ a natural, high-fiber and low-calorie sweetener. Other meals as well as bars will be available later this year, providing more healthy varieties and more convenience to campers. Purchase a sample assortment Bannock Backpacking Food by following the ink. Be the first to comment on "Bannock Launches Healthy Backpacking Food"